Register for a 30 day free trial - no payment information is required. After your trial period, continue your membership for only $14.95/year! Manage groups/leagues both large & small. with our personalized performance reports. and covers every important aspect of your game. The site is fantastic for those of us who do not belong to a golf club and do not have access to the members' golf handicap computer. Thanks for the quick response! We are enjoying the site and our club can't get along without it. Your service has truly enhanced the enjoyment I get out of golf, as I am a 47 handicapper and my father is a 22. Now that we know our handicaps, we can evenly compete. It is great to be able to chart your progress, while playing. MyScorecard has given me a realistic goal to shoot for on my next game. We have formed a club with 12 members and growing. Your program has taken the guess work and arguments out of 'how many strokes should I be getting,' now it's right there in b&w. Your web site has been an instrumental part of our club's successful year so far. 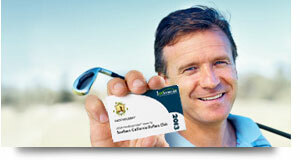 I also wanted to inform you that with your help our club has received USGA approval. Thank You. Unbelievable! You guys certainly do work fast! Wish all my suggestions were treated with such speed and enthusiasm. Great job guys! A fantastic web site! Thanks for a great service and keep up the good work. I have signed up for a year. The site is excellent and I have told just about everyone I know. Really cool, really easy to navigate, and really useful. he hits his drives about 20 yards farther! Good site and I am referring some of my sand-bagging friends to establish their handicaps as well. I have never failed to talk up your service to any course I visit. No other facility allows me to track my golf game the way you do. 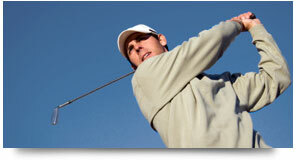 I especially like knowing what I need to shoot in my next round to lower my handicap. If I am close and need a put on 18 to meet my target score, it makes it all the more exciting. Your site provides incredibly detailed information. I have passed it on to several friends all of whom have signed on. to improve your score when tracking a handicap. I love your site...I have only been playing for four years and am so bad, but your site gives me a sense of improvement or not. So far me and my golfing buddies love your site, and now I have a more clear and better understanding of the handicap system. Your web site is a great asset, not just for keeping a reasonably priced, reliable handicap record, but also for keeping up with a few other helpful stats...Thanks again. I tried another handicap service and their course directory was eight years outdated. You have an avid fan in me. Thank you for the easiest system on the web. all of my golfing companions to use it. That's what I like about you all...the lights are on and someone is always home! Thanks for your response.